It is impossible to represent a Landlord one day and properly represent a Tenant the next. Under California law, business owners are deemed to be a sophisticated consumer. As such they are not subject to the same agency disclosure requirements or afforded the same level of consumer protection that they are used to as individuals. Consequently, the vast majority of Tenants are under-represented in commercial transactions. As a tenant representation broker, Cook Commercial only represents the corporate user’s interests, not the Landlord. We show tenants their value. Cook Commercial employs a comprehensive approach to Tenant representation. Our business model gives clients access to services and assistance tailored to help meet their individual needs. From the first preview to the last detail, we have the market knowledge, experience, contacts and industry relationships to deliver on-time, on-budget occupancy. With over twenty years of experience in commercial real estate and tenant representation, Cook Commercial offers the expertise of larger commercial real estate brokerage firms and the personal touch that only a local expert can provide. Our business is exclusively based on tenants and their needs. Our client base represents a broad range of Tenants, from small local companies to Fortune 500 firms. We represent tenants in varied industries- technology, telecommunications, medical services, finance, entertainment, insurance, legal services, and accounting. 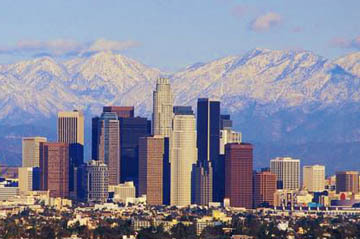 If you are looking for tenant representation services in the Los Angeles area, please contact us today. We are always your strongest advocate.